Open your door to optimal organization. Contact us to see how an Auburn Door Systems closet design can help you get fast and easy access to all your storage needs. Auburn Door Systems, Inc. is an Authorized Dealer of the Professional Line of ClosetMaid products. 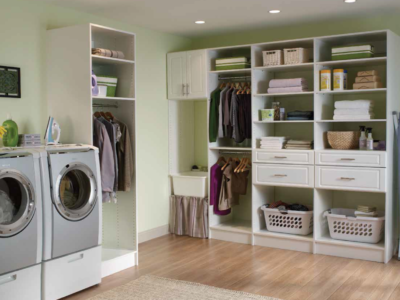 Let us design and install the perfect closet for you whether it is the versatile Ventilated Wire Shelving or a custom closet utilizing the Master Suite Laminate Storage system. 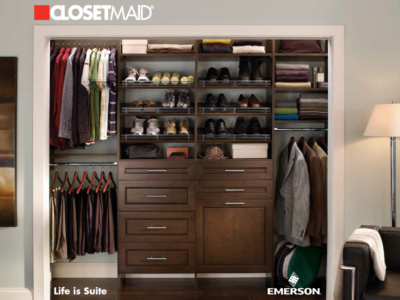 Master Suite’s elegant style and infinite design options can produce the closet that meet all your dreams. 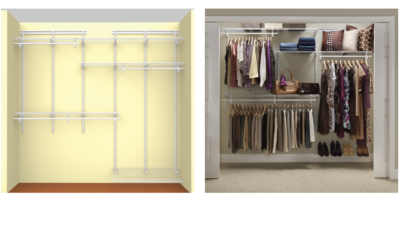 A mainstay in closet systems, ClosetMaid’s Ventilated Wire Shelving provides versitle designs at a economical price.